I would love to influence the world to be a kinder and more accepting place. Social media is usually in the media due to bullying or something else negative. Why not be able to change the perception of Social Media into a place where people can be happy with accepting themselves and who they are. Showing acts of kindness and encouraging one another to keep their chin up. That would truly be a marvelous Social Media campaign that I would love to be a part of! I had the pleasure of interviewing Gabe Ortiz. 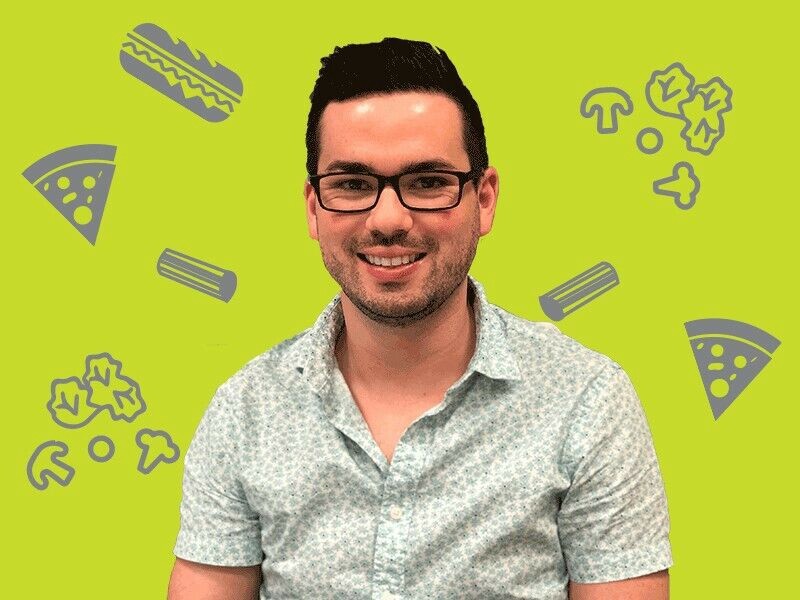 He is originally from New Mexico and holds a Bachelors in Elementary Education and a Masters in Communication and Public relations with an emphasis on Social Media Marketing. He has been at Urban Bricks for one year as the Marketing Director. I had always been interested in Social Media when I was younger. When Instagram came out I thought it was something truly unique and simple. I had worked so hard growing my own personal brand for free, but when I realized you could actually make a career out of social media and get paid for it, I got my degree in social media marketing and haven’t looked back since! I think there are so many amazing Social Media marketers doing amazing things in the industry right now. If I had to choose something I do well, it would be making our Instagram experience feel “real”. I am a big fan of creating connections with my followers and making sure they feel something when they see imagery with our logo! Being in marketing, you learn to make partnerships and relationships with other marketers or media companies. Through one partnership I was able to get some free VIP passes to a Margarita festival. Well we all know how crazy margarita festivals can get, but the icing on the cake was seeing a famous movie star, who will not be named, enjoying some drinks with his wife. I got my selfie and went on my way! It was awesome! When I first started out as a marketing coordinator, I was with a young company who was trying to find its voice. Well I jumped right in there and started trying out some voices on Twitter, I guess I was a little too forward and sassy and ended up having someone on Twitter cuss at me and call me a name I cannot replicate on here. Needless to say, I learned to do a little more thinking before jumping into something and realizing it is okay to take baby steps when finding your voice! I think all platforms can be profitable, it just depends on who your target audience is and what platform your target audience uses. Our Facebook page has been able to create the most business for us! Our Target audience are millennials and young families so using a platform where young families like to share images of their kids is an ideal marketing platform for us. Our next profitable platform would be Instagram and then Twitter. 1. Keep the images real, no one wants to see over photoshopped food that looks plastic. 2. Respond to your followers, they want to have a conversation with you! 3. It is okay to like and follow others, it makes you seem real and that you aren’t too big time for them! 4. Utilize ads to bring awareness to your page and your promotions! 5. Now with all the new tools Instagram has to offer, its really easy to market things like your app and even get some online orders in! 6. Get involved with Instagram Bloggers and Influencers. Its really good to have those relationships especially when you have a new store opening up. All the media attention is great at getting people in the door! One person I would love to talk with would be Anderson Cooper! He has done so much good for the people around him and I have loved seeing him report on the news over the years. I think he has a big heart and has had so many adventures during his career. He would be full of great stories and lots of laughs!